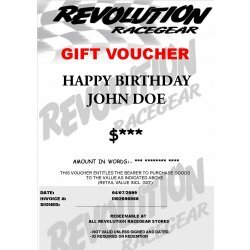 The perfect gift idea for Birthday's and Christmas for the racer who has everything! 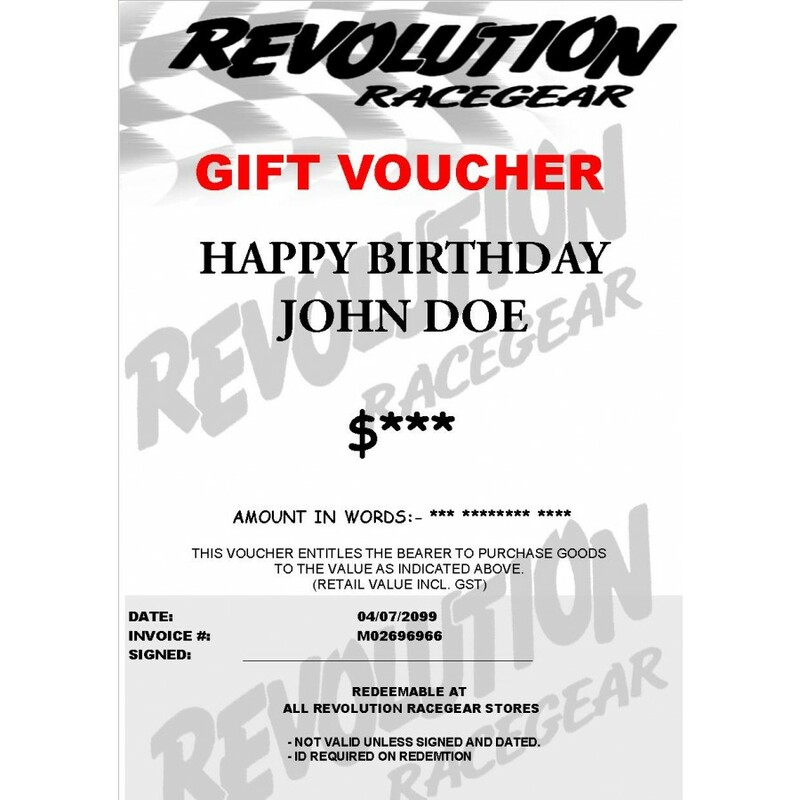 Redeemable at all Revolution Racegear stores across Australia. Please make sure you add in the comment section who the gift certificate is to be made out to. For example: To: John Example From: Steve, Mark & Tracey.